Shravana month is considered sacred to seek blessing of Lord Shiva and His consort Goddess Gauri by observing Vrats dedicated to them. Vrats like Shravana Somvar, Mangala Gauri are observed during Shravana month. Devotees take Sankalp either to observe fast during Shravana month or to continue for sixteen weeks starting from Shravana month. 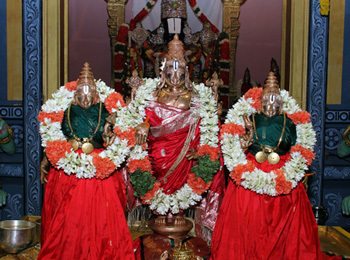 Mangala Gauri Vrat is also known as Sri Mangala Gowri Vratham in Andhra Pradesh. There is fifteen days difference in starting time of Shravana month depending on the followed lunar calendar in the region. In Purnimant calendar, usually followed by North Indian states, Shravana month starts fifteen days before Amavasyant calendar.